You may have noticed a friendly invasion of wonderful giant snails around the city. Have you wondered how they got there and who designed them? 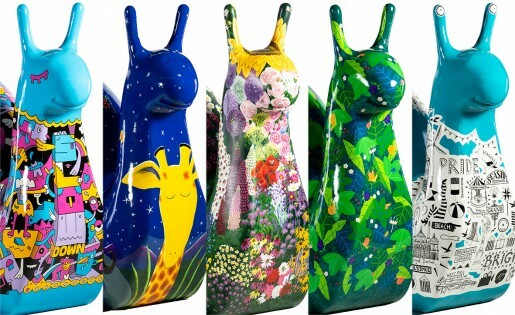 BiG members Phil Weyman (Mister Phil), Guy Parker-Rees and Jo Moore will be joined by Danni Smith and Martha Mitchell to discuss how they became snail artists for The Martlets Snailspace trail. Find out about the whole process from design submission to final installation. Hear about the particular demands of painting a large 3D snail in 30 degree heat! An informal panel discussion with your chance to hear about the experience directly from the snail artists. The artists come from diverse backgrounds and experiences and have been brought together for the Snailspace project.